The first of 12 mega-dam projects, was the Bakun Dam, which produced a reservoir of 700 sqkm, the size of Singapore, whose flooding began in 2010 and displaced around 10,000 Kenyah people, in Rajang and Belaga. 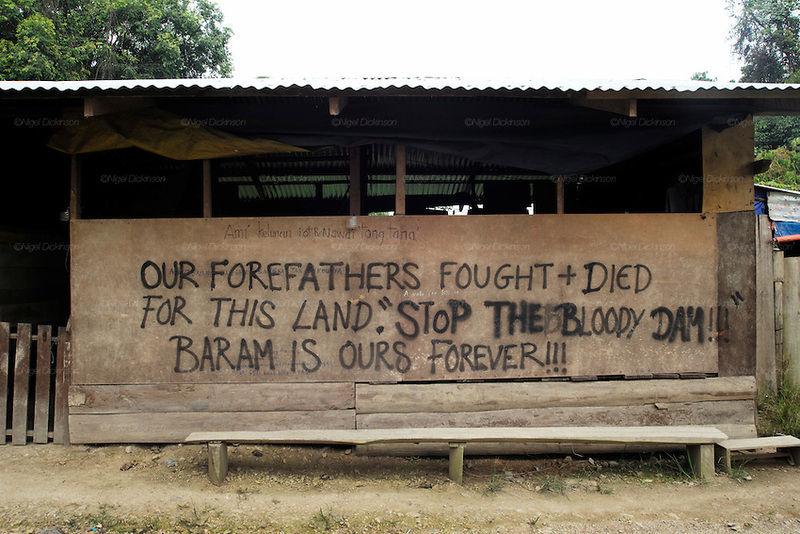 The second phase at Murum would displace a further 24,000 native people, and Baram some 30,000. This huge development program has been overseen by Sarawak's former Chief Minister, Abdul Taib Mahmud, who is now under investigation by Malaysian authorities for corruption, and who has amassed a personal fortune of more than 35 billion US dollars.